I like the holiday season. Ok, stop. I LOVE the holiday season. From changing leaves to comfort food, I just can’t get enough of that tingly crispy fall season. Some people may argue that Halloween is not part of the “Holiday Season”, but I vehemently disagree. Halloween is the starting point of the holiday madness, and I am all about it! I relish the time where I can bust out the long and ridiculous falsies, eat candy until I am sick, and turn on Hocus Pocus for the billionth time. Don’t even get me started on the benefits and joys of finding a crazy. Halloween is the business. 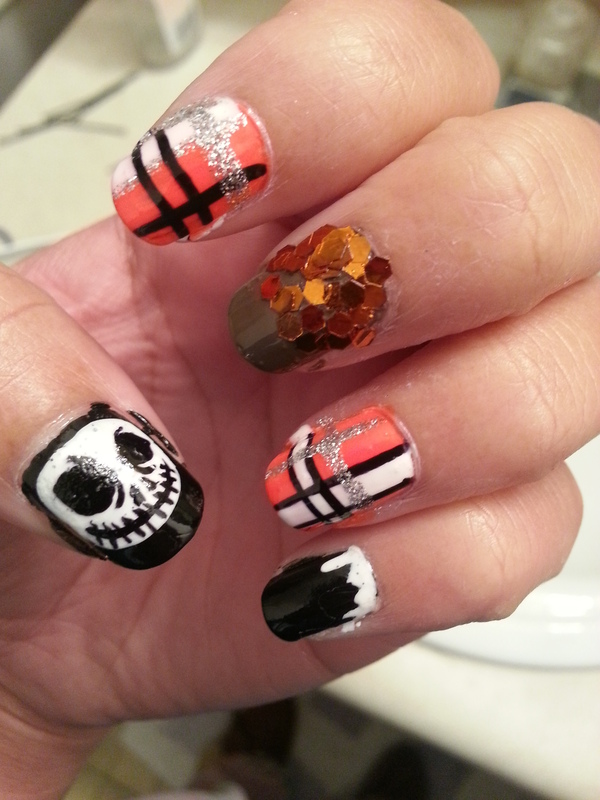 Halloween is also one of my favorite times to play with Nail Art. This look was inspired by my love of plaid and one of my favorite light-hearted halloween favorites, The Nightmare Before Christmas! I decided to give my favorite guy, Jack a few minutes in the spotlight. Check it out, and tell me your thoughts! 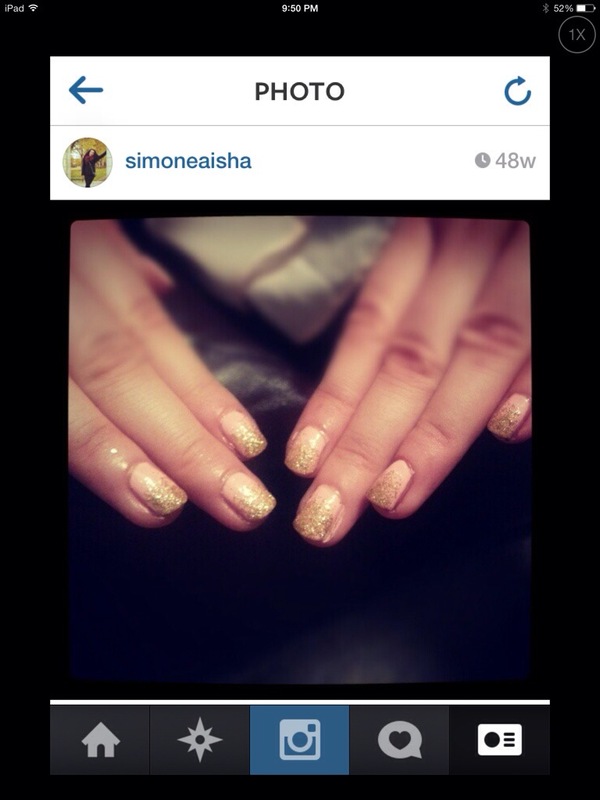 Also, what is YOUR favorite holiday to try nail art? Happy Halloween, my little pumpkins!!!! 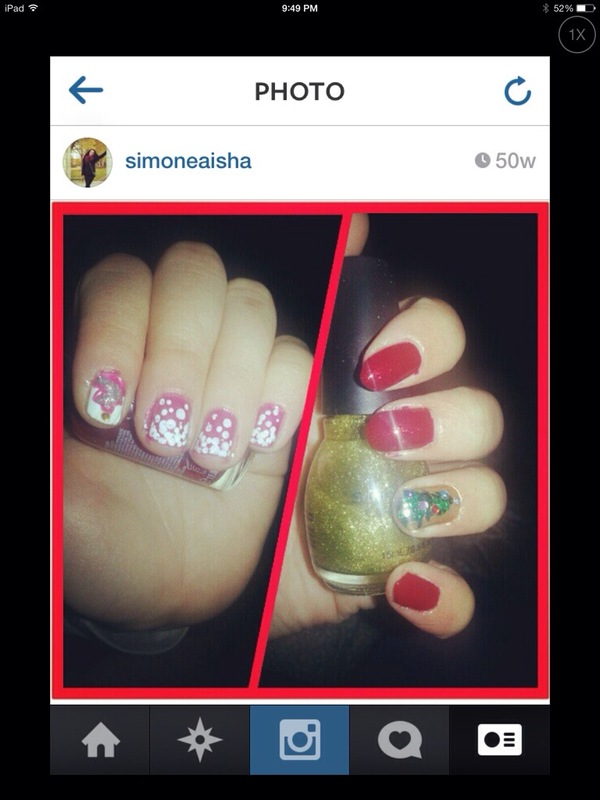 This entry was posted in Nail Art, Nail Polish and tagged black, china glaze, diy, halloween, holidays, nail art, nail design, nails on October 27, 2013 by Simone. Hey ladies and gents! Check out my favorite summer nail look that I have created so far: Grapey Gradient! I know that the finished product did not turn out like the Pinterest one above, but I still could not stop looking at my nails! They look so purrttyy in the sunlight, and I even added a few hexagon glitters on the ring finger. 1. I started with a base of two coats of white polish. Then I waited for 15 minutes for it to completely dry. 2. I painted the two colors on the makeup sponge, so they lined up with one on top of the other. The colors blended together in the middle to form a deep purple color. 6. 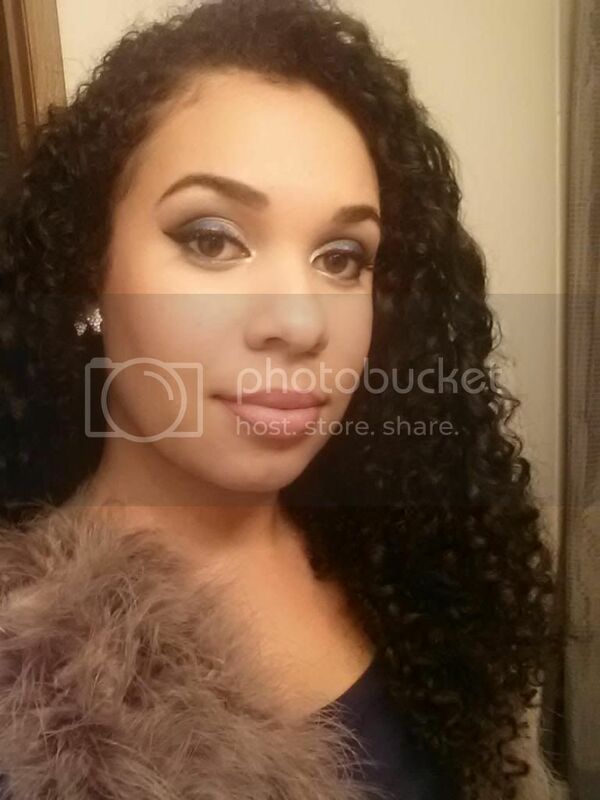 Added some Seche Vita, and girl, I was lookin’ FLY! Pretty simple, no? It only took me about an hour, so it was not too bad. My best girlyfriend and I had a nice quiet Saturday watching one of the greatest cinematic masterpieces of the century… Clueless. I did our nails and snuggled up to this little cutie! His name is Rocky. 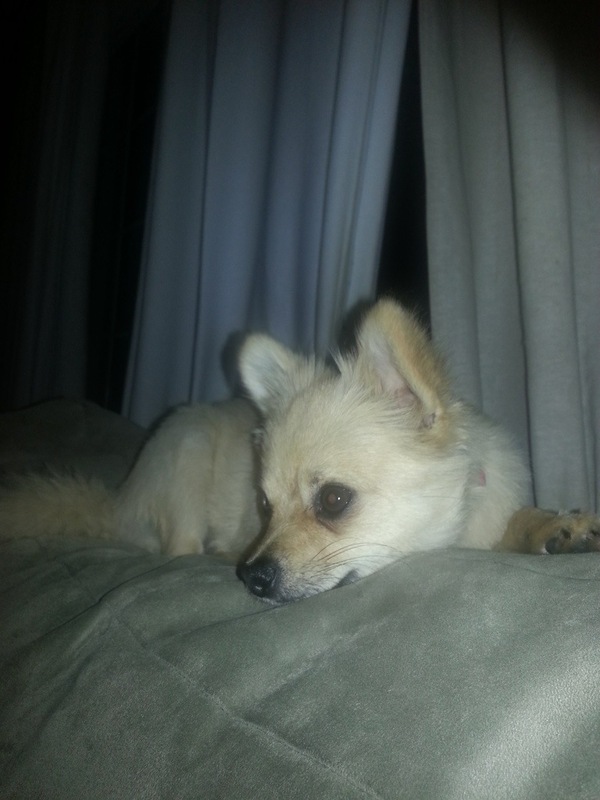 He is 50% Pomeranian, 50% chihuahua, and 100% cuddle monster! He and I got along swimmingly… Seeing as I am a cuddle whore. 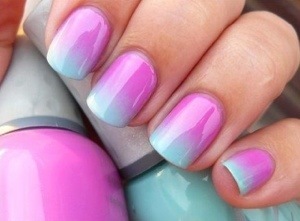 I hope you guys liked my summery gradient, let me know what you thought of it! 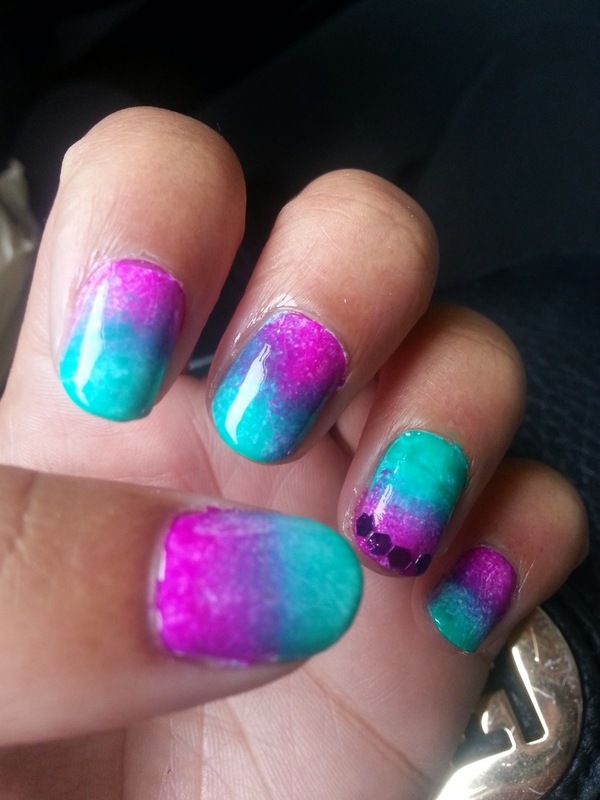 This entry was posted in Nail Art, Nail Polish and tagged diy, gradient, nail art, nail design, nail swag, nails, Purple, teal on July 26, 2013 by Simone. Hey ladies and gents! I have been missing summer in a major way lately. What I would give to throw on an airy hot pink dress and slip on some chunky wedges. Buuutt that is not exactly possible at the moment, because right now the Pacific Northwest is doing what it does best… RAINING! 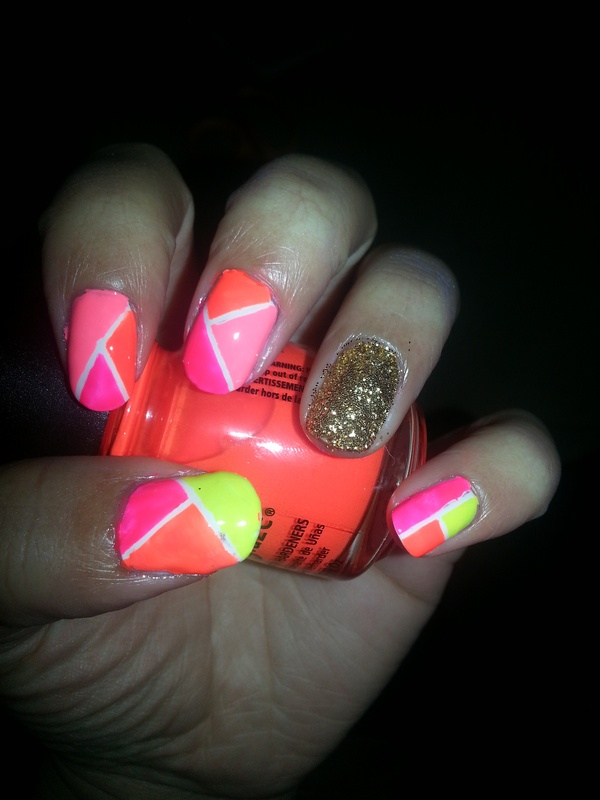 So it looks like I will just have to settle for some bright and crazy geometric nails to keep the blues at bay. I had a hard time deciding on colors, so my hands are a bit different. This is the hand I like the most. Surprisingly, it is my right hand! That is usually my “challenge hand”. I liked the idea of my left hand, but was not too satisfied with my execution. But they are still are kinda cute. 1) Paint nails white. 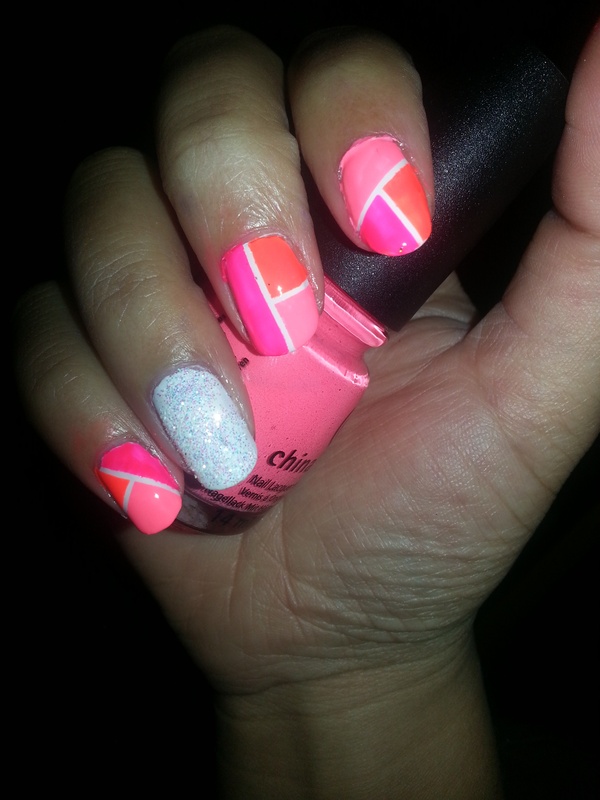 TIP: Wait until white dries for about 20-30 minutes before applying nail tape and neon nail polishes. This ensures no smudging. 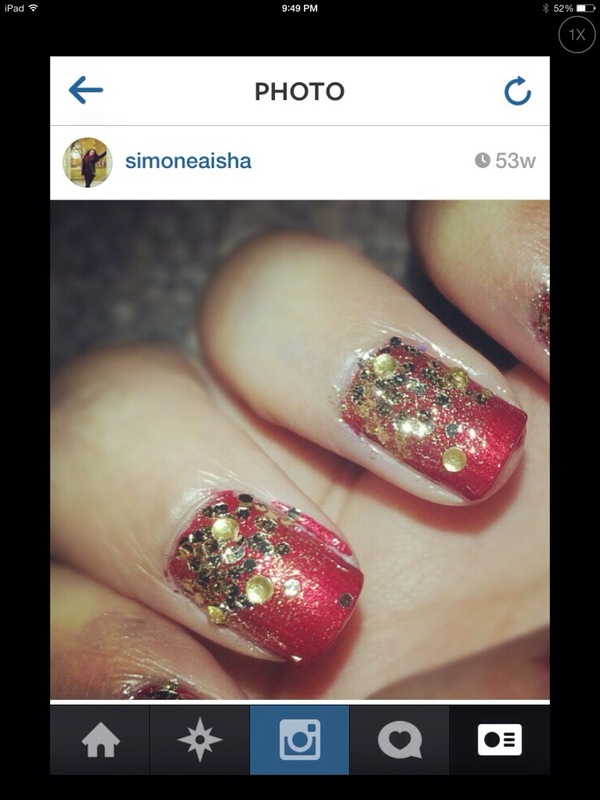 3) Paint inside the nail tape lines. 4) Remove nail tape. TIP: Remove the tape while neon nail polish is still wet, the drier/thicker it gets, the harder it is to get a nice clean line. 5) Finish with a top coat. I’m a Seche Vite snob myself! Which side do you think looks better? Left hand or right hand? Let me know! 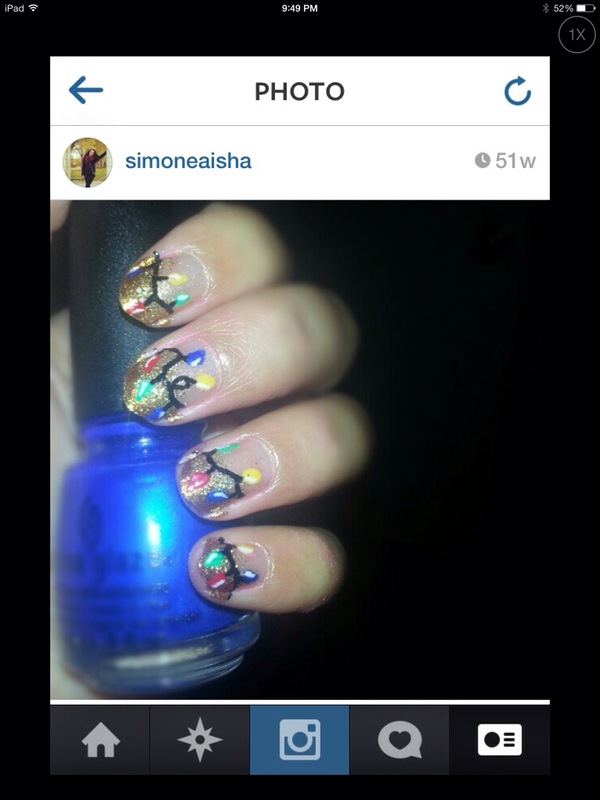 This entry was posted in Nail Art, Nail Polish and tagged china glaze, diy, flip flop fantasy, geometric nails, nail art, nail swag, nails, neon, neon nails, sinful colors on February 21, 2013 by Simone.